The Frangipani Tree is a beachfront boutique property composed of three villas – Hawksbill, Leatherback and Oliver Ridley – embodying contemporary tropical elegance. Spacious areas are accoutered with complementary and chic appointments accompanied by first class amenities – to assure your absolute comfort and diversion. Booked on a per room basis or entirely for your exclusive use, the Frangipani Tree, truly, accords you stylish vacation living with a dreamy, faraway coastal air. 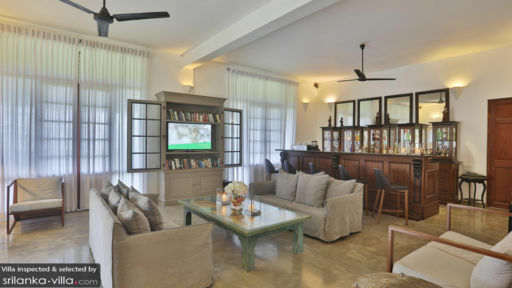 All in all, the villa has nine air-conditioned suites – five in the Oliver Ridley villa (two of which are on the second floor), two in the Hawksbill villa and another two in the Leatherback villa. All bedrooms are attached to bathrooms. The Hawksbill and Leatherback bedrooms have semi-open, garden bathrooms. Flowing toward the beach is the alluring, 35-meter swimming pool where you can dive in for your routine laps, or where you can continue your communion with water after your morning dip in the bay. For a breather, you can doze off on hammocks under tall palm trees – lulled by the duet of the cool tropical breeze and the calming waves arriving on the shore. The villa also has a tennis court where you can serve aces and score winners. 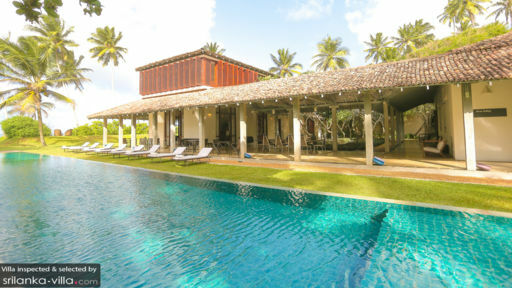 The property’s common areas are in the Oliver Ridley Villa – an indoor living area where you can all assemble and a semi-open restaurant where you can all feast on authentic Sri Lankan or Mediterranean cuisine. Service in the Frangipani Tree is of hotel grade. The affable staff will arrange for you all that you ask for. 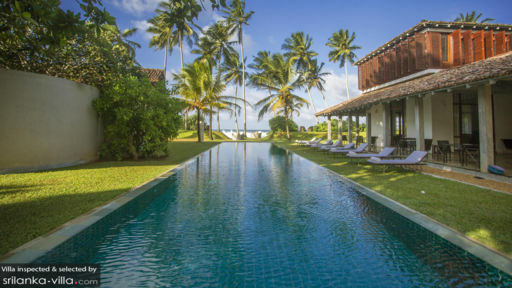 Built along the beach of Thalpe Bay in the town of Unawatuna, the Frangipani Tree is just eight kilometers away from Galle Fort – formerly a Dutch settlement established in the 16th century. A UNESCO World Heritage Site, Galle Fort is the jump off point to marine reserves, iconic villages and temples, as well as rainforests, scenic mines and plantations.